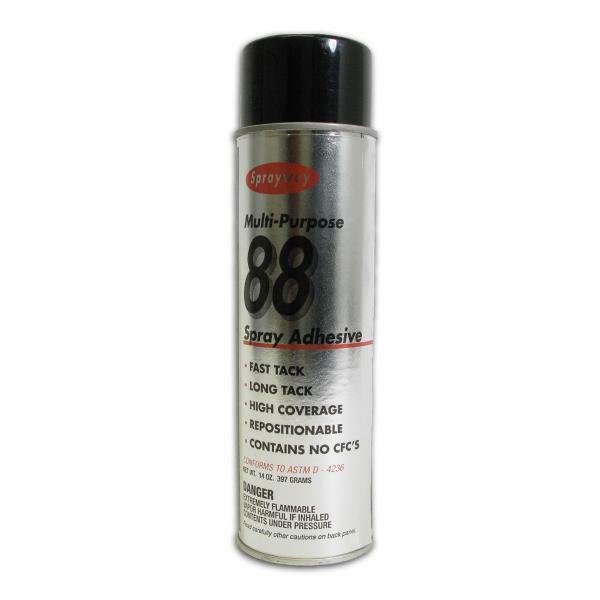 This spray adhesive bonds lightweight materials such as foil, felt, fiberglass insulation, flexible foam, lpastic films, polystyrene foan, cardboard, cork...etc. High Coverage: about 10 sq. ft. per oz.